Arrangement … it’s almost a dirty word, isn’t it? The implications of discussing writing, arrangement, instrumentation — well, they fundamentally differ from mixing. You see, mixing is kind of like how we dress. If I’m not dashing, it’s because I’m not wearing an incredible suit. Arrangement is more like how we actually look. If I’m not dashing, it’s because I need to lose like twenty pounds. It’s much easier to accept that a record needs a better mix opposed to better writing, arrangement or production. I think this painful truth of music production has become so sociologically imbedded in our brains, that we’ve come to accept mixing as the solution factory for all of our records’ problems. Even though superficially we know this isn’t the case. So when we try to improve our records, we default to mixing, but sometimes the root of the problem actually exists elsewhere. Don’t get me wrong, I think mixing is extremely important. However, I also come from a school of thought where a recording should “sound like a record” before even getting to the mixing stage. With that said, here are four problems we often try to solve with mixing that should really be solved in the arrangement and instrumentation stage of production. What we use: EQ and compression. We pull up an element and it sounds awesome. We pull up another element and it also sounds awesome. We pull them both up and suddenly they don’t work? Next thing you know, we’re EQ’ing and compressing and messing with it like we’re trying to hammer a square peg into a round hole. There’s a number of reasons that sounds may not work well together, but the two I run into most frequently are timing issues and clashing notes. Timing issues are best resolved by just nailing the performance, but editing the lines so they work together is also a very good solution. Even when the performances are great, a little editing is often still required. Clashing notes is where arrangement really comes in. If one line is ascending, and one line is descending, you might hit some weird second chords in the run of the line that just don’t get along. Remember that no matter how cool either line sounds on its own, there’s no prize for layering up two awesome lines that sound like crap when they’re played together. If it’s not helping the melody line along, it doesn’t belong. What!? Isn’t getting rid of muddiness and clarifying the sound of the record one of the primary aspects of mixing? Sort of. It’s certainly something we consider as part of the mixing process. 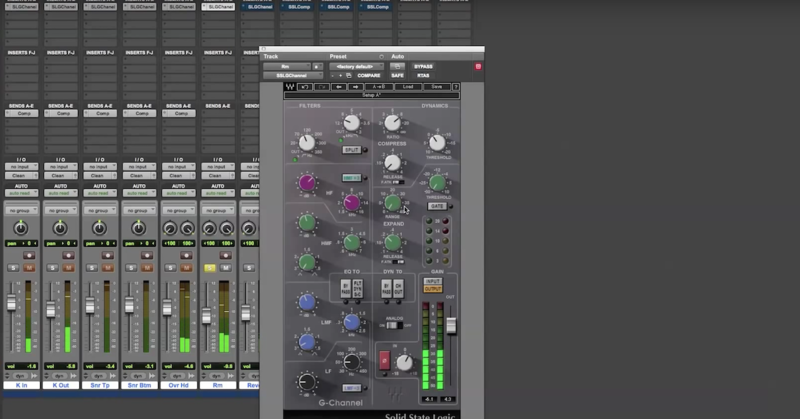 It’s important to recognize, however, that the real role of mixing is simply to help the production along. It’s a helping hand on the tail end of the production arm of making songs. In reality, we don’t actually need to do a lot of EQ to achieve clarity if things were thought out correctly to begin with. Instrumentation is our primary weapon in terms of keeping a record from being cloudy. If all of our instruments are sitting in the same place, we’re going to get a wall-of-sound thing going on in that range. We don’t write six trumpet parts to sound like six different instruments, we write them to sound like a single horn section. It’s no different if we throw in a piano in the same octave, a couple clarinets, maybe some bright guitars playing in the same range — it just sounds like one big ensemble. Hey, sometimes that’s exactly what we want. But if it’s not, EQ is really going to be a last ditch effort to resolve the issue. What we use: EQ, reverb, delay and compression. When a record is thin, we throw every trick in the book at it to make it feel fuller. We pull in reverb and delay returns, we compress and EQ individual elements to make them feel fuller, and what we get is: something somewhat better than what we started with. And that’s ok, but still not ideal. Arrangement and instrumentation are going to go a lot farther than reverb when it comes to filling up a soundscape. Unless we’re going for a specifically minimalistic thing, the way we fill up a record is by writing in parts. This can work through layering, or by choosing instruments that have a naturally dense sound. Certain arrangements call for multiple parts. Rock arrangements that involve guitar, bass, drums, and vocals, for example, may call for a number of rhythm guitar parts or additional percussion to feel full and lively. Other types of arrangements may involve very dense instruments like rhodes, accordion, heavy synths, or use ensemble type arrangements like string or horn sections. Bottom line: you can’t mix what isn’t there, and more than a few times I’ve found myself dubbing supporting parts into a record during the mix process to make it work. What we use: anything and everything. In the world of loop-based music, we do anything and everything to create arc: automation, building in one-time events, going crazy with EQs, compressors, distortion, reverb, etc. And I’m not knocking any of that. Actually it’s one of the things that makes the job fun. But ideally, the arc of the record should already exist as part of the production, and the mixer’s job should be to emphasize that stuff, not create it from scratch. The better solution is to build the arc of the record through the arrangement. As just a simple example, the first half of the first verse can start with just piano, bass and drums — in the second half of the verse, perhaps the guitar comes in and doubles the bass line an octave up and the drums pick up with more action on the hi-hat. Fairly remedial arranging, but demonstrates the point: it’s not just about the parts and the notes. It’s about the progression of the parts and notes, the way the articulation changes, and the way specific moments and transitions are handled. The moral of the story and main takeaway from this article is that mixing is an extension of the production phase, and really nothing more. There is a ton of emphasis put on mixing, so much so, that mixing is often touted as the difference between “pro” and “amateur” production. In reality, great productions basically mix themselves, and the mixers of the world are just here to tie it all together and maybe catch the things that inevitably fall through the cracks. Arrangement and instrumentation are the real cornerstones of great production. The Workshop Series from Matthew Weiss is available now. 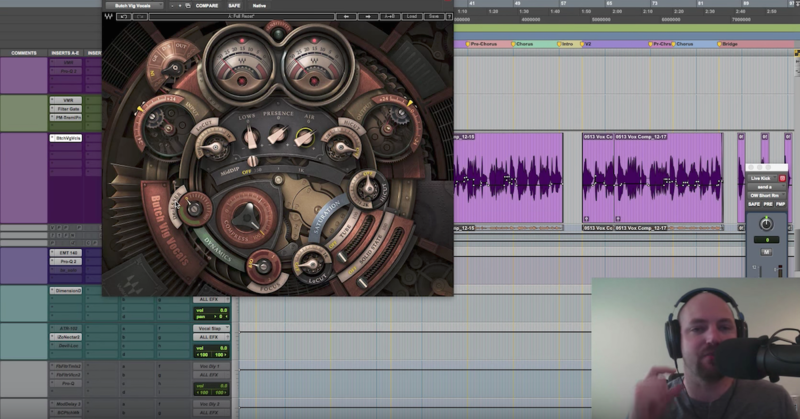 The Workshop Series is a collection of five in-depth video tutorials (3+ hours total) that dive deep into specific topics inlcluding mastering, managing low end, creating cohesive reverb, mixing vocals to a two-track and more. Learn new techniques, increase your confidence and level up the quality of your mixes.